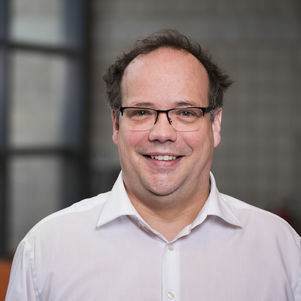 The European Research Council has awarded an ERC Advanced Grant to TPM professor Ibo van de Poel. In the coming five years, he and his research team will develop a philosophical theory of value change that can be used to improve the ability of complex sociotechnical systems such as gas infrastructure, blockchains, energy grids and self-driving cars to adapt to changing values. The project builds on existing work on Value Sensitive Design in which moral values such as safety, sustainability, privacy, justice and democracy are incorporated into technological design. However, there is still an important blind spot because current theories and approaches assume that values are static while in reality values often change after a technology has been designed. As a consequence of this blind spot, a mismatch may occur between the values that were embodied in the past in the sociotechnical systems surrounding us, and the value we find important today. For example, many of our current energy and transportation systems do not yet sufficiently meet the value of sustainability. Although this is now generally recognized, it is also clear that we cannot change these systems overnight as these systems have large technological and institutional momentum and so have the values embedded in them. The research programme will develop a philosophical theory of value change. It moves beyond the start of the art by proposing a dynamic rather than a static account of values, by developing insights in the dynamics of value change, by extending analyses about the embedding of values in technology to sociotechnical systems, and by developing design strategies that aim at designing sociotechnical systems that can better deal with value change. Van de Poel will receive funding for five years from ERC and will appoint five researchers (three PhD-students and two postdocs). The theory will be applied to empirical studies about value change in energy systems and robot systems to support the development of a theory of value change. The European Research Council supports frontier research, cross disciplinary proposals and pioneering ideas in new and emerging fields which introduce unconventional and innovative approaches. The ERC's mission is to encourage the highest quality research in Europe through competitive funding and to support investigator-driven frontier research across all fields of research, on the basis of scientific excellence.